They can grow up to 30 cm / 12 inches fully grown. 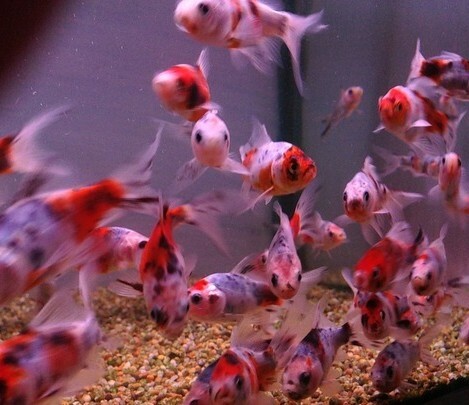 They live in water parameters of PH range 6.5-7.5 and temperatures of 18-24 Celsius / 65-74°F. Shubunkins can be a very quick moving cold water fish, so it is best to mix these with other quicker moving cold water fish. They feature a festive confetti like blend of colours. 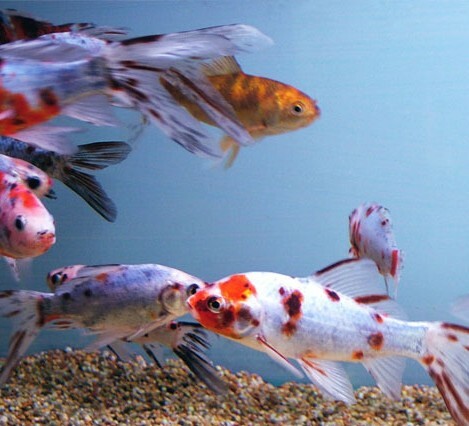 They can go in to indoor tanks or out door ponds. There is actually two types of shubunkins the London type or the Bristol type. 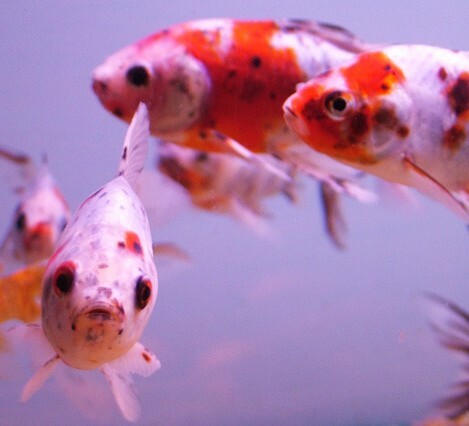 The London Type is very similar to the common goldfish. The Bristol type has an enormous tail fin that is very wide, moderately forked with well rounded lobes. They have a diet of flake, pellets, and granular foods. Also a treat of frozen, or live foods is always good for them. Shubunkins will eat anything. It is best to feed them food that is a good size to fit in there mouths. Feed them once a day at the most as shubunkins are extremely greedy and will eat everything you put in.